You don’t have to be a professional athlete to need walk-in sports physicals. Athletes of all shapes, sizes, and abilities may suffer from acute or chronic injuries. Even if all you need is a simple checkup, a sports physical can help ensure you’re in optimal condition to succeed, no matter what sports or other physical activities you enjoy. 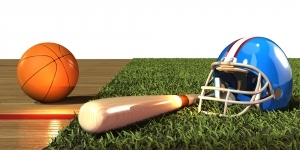 Sometimes, a sports physical is a requirement to play on a particular team or in a league. But a physical can also be used to diagnose and treat certain kinds of injuries that are common for athletes. Whether you’re a competitive or a casual athlete, early detection and treatment will help ensure you’re back in the game as fast as possible. FastMed Urgent Care clinics provide routine physicals for school, camp, and sports. We also provide treatment for sports injuries and can address all of your sports related medical concerns. On-site services include physicals, x-rays, casting, braces, splints, and injections to help diagnose and treat all types of issues. Issues like sprains, fractures, and dislocations are considered acute injuries, while issues like tennis elbow, runner’s knee, or plantar fasciitis are more chronic problems. Other sports related medical concerns may involve asthma, a concussion, or other issues of the muscles, tendons, or bones. Ignoring a potential injury or issue should never be an option. Even if your level of physical activity maxes out with a weekend jog, you can still suffer from the same types of pain and injuries as more serious athletes. If you believe you may be suffering from an injury listed above, or if you’re experiencing any pain or discomfort, visit your neighborhood FastMed clinic for prompt and personal care. Find a location near you today. Follow us on Twitter for health resources and more information.